the ending is actually not rushed but the scriptwriter ran out of idea and wrote the most painful ending ever. Now Long Ge and Bai is inundated with jobs , so it is highly unlikely they could re-shoot the special ending. Valerie86 like I mentioned before I know they are tired with jobs now what I meant is we Fans can wait even for 2020 the Special Episodes to come out we still happy because of Happy Ending. (Anyone here agrees if Happy ending asking us to Wait for it I will!!!) but the sad and bad ending makes alot of Fans out there angry... It's normal who wants this sad ending??? ("I think if Petition for Happy Ending is good if anyone here opens the Petition website we all here will join in. Again something like reincarnation of love and protecting his love. I guess, despite the horrible/ weird/ lame/ meh ending, I still very happy I gave Guardian a try. I'm still trying to figure out how on earth did I end up watching it, as there has been a string of K-dramas that I'm following since new year. I thought, maybe I liked the trailer, so I watched the trailer again and while it was quite interesting, it didn't feel different from any supernatural C-drama trailer. But it did give me the chills whenever I watch SW turning his head behind ZYL when ZYL is pulling the trigger of his pistol. I did not know the actors (okay, I know Bai Yu but here he looked toooootally different from Cao Guang Love O2O so I didn't realize they were the same person). This forum only became active after OrangeBiscuit started subbing the earlier episodes. The ongoing novel translation came a bit later, I think. I was probably doomed to like this show once i watched the opening sequence. "We Won't Be Falling" is a hauntingly beautiful piece. The incorporation of orchestra into the song is amazing - it had a Game-of-Thrones-esque feel to it. 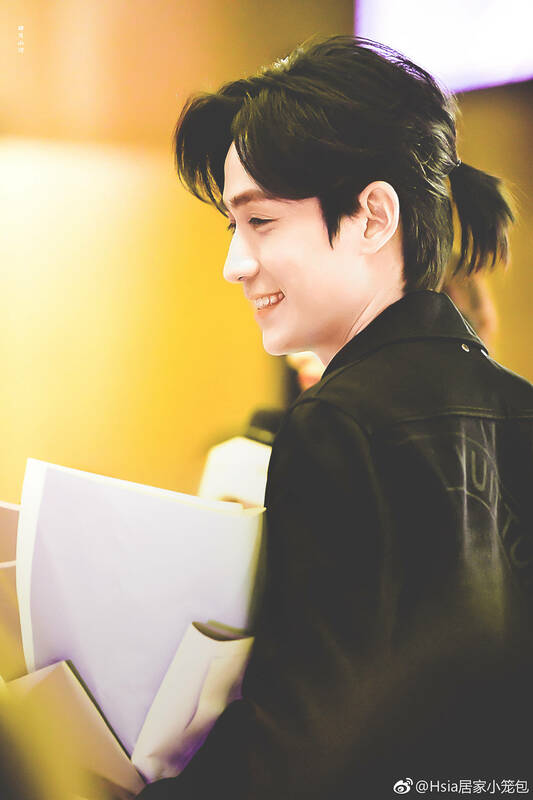 Of course once I began the first episode, I was totally won over by the performance of Zhu Yilong and Bai Yu as Shen Wei and Zhao Yun Lan respectively. 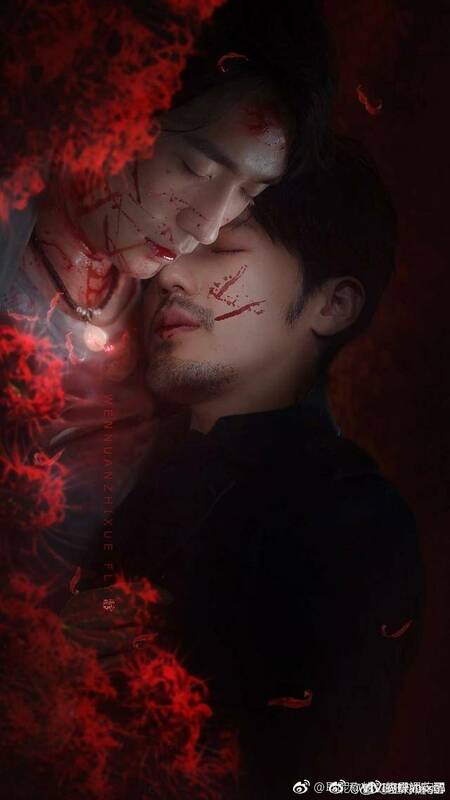 Then we found out that this drama is based on a supernatural BL web novel and it had to be heavily tweaked to remove any BL content and supernatural element. Basically, the production is merely borrowing the characters that was given birth by Mr/ Ms Priest. I think the show lost it's way after ZYL found out SW=black robe. Their cases became strange and I had to think whether SID is a secret department or not; or do ordinary people are casually aware about Dixing-ians. The visits to the underworld was also strange as it doesn't seem to be important to go there. How anti-climatic it is when the mysterious pendant contained a lollipop wrapper???? WTH man??? And SW basically threw it to ZYL who is sprawling weak under the stairs? Never thought I would say this but some friend you are Prof Shen! I have to applaud the casts especially main leads for maintaining their high level of acting as the productions stumbles around them. If I were "Priest" I would swing SW's zanpakuto (how dare they turned the almighty soul slayer into a mere junk found at the bottom of the hill???) at the production team for bludgeoning a wonderful novel into a messy tv show. I would love to see the series reproduce according to the novel. Remove the BL scenes and keep it as a bromance if you must, but the supernatural premise must be left intact. Hopefully Granting you a dream liike life will have happy ending. As i notice plenty of Long ge roles have ended up in sad end for him. Or open end like Princess is Back. I usually only watch 1 or 2 chinese drama for the entire year. But next time I will make sure the show finish airing first as a whole. and know it is happy end and i will binge watch them at the end. Sure!! If I see any Guardian Zhen Hun petition I wi post here. Because I don't know Chinese and unable to write thus I can't do the petition if only someone knows Chinese and translations with English that might reach to to producers, scriptwriter, and etc. Valerie86 if you didn't mention about the duet background song ending I didn't notice maybe I was too shock my ears unable to hear anything else. The ending left me Stunned. And about the pendant contain lollipop wrapper, Shen throwing it down the stairs, I was staring and I find it weird while ZYL calling Shen Wei he turn around looking at him and start throw something down the Stairs I thought what Shen Wei throw never expect its the pendant!!! And how on earth ZYL knows the pendant inside can be open and it contains lollipop wrapper??? (this stunning picture I still in amaze) Anyone here can explain??? One more thing yesterday when Shen Wei before he stab his own heart and he recite the wording I thought I would see ZYL recite with Shen Wei but why don't have??? I thought I saw the video somewhere both of them recite the same wording??? I think many pointers are left in mystery without the drama explaining them... I hope someone can explain these to me as I am left confuse.. The novel anyone have the English version?? By the way someone here mentioned there are 300 chapters for Guardian correct?? (May I ask the drama run until which chapter?) and the whole storyline for Novel how is the story like??? [I hope someone can post these explanation here] Thank you. The pendant is a big loophole in the plot sighhh.. really lame. he said it right before he burn the lamp . Another Guo went for match making the other guy stop him also like jealous anyone notice?? I haven't watched full episode 40. Just watching the 3 part uploaded in youtube is enough to give me that we have a rather bad ending. Thus, I choose to watch it later after we get the sub. Thankfully the spoiler about the novel ending kind of saving me from getting too depressed because of the ending. If not, I am pretty sure my mood will plummeted down in my today workday. I think taking out supernatural part is the one that leads to this horrible ending. I don't understand why Guardian needed to take out that part while we have drama The Destiny of White Snake with all its god and reincarnation. This ending is not only sad, its execution is terrible. Sad ending is fine as long as it can give powerful emotional impact but this ending feels bland. I wish we get more emotional scene between Zhao Yun Lan and Shen Wei when one of them in his dying breath. But no, all we get is Shen Wei died alone, without last goodbye . Actually this is the one that make me mad about the ending the most. 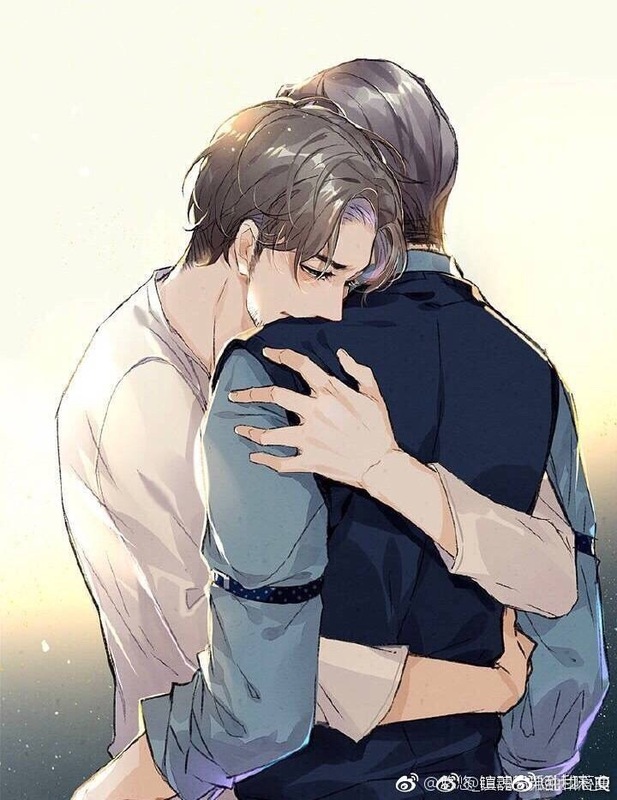 In the novel ending translation and summary that I have read, I see that Zhao Yun Lan is quite mad because of all self sacrifice thing that Shen Wei has done. If in the novel Shen Wei was died, pretty sure that Zhao Yun Lan would get mad of grieve. I wish to see that in the screen, not this type of cheap sad ending. Saying about Wow I remember Zhao in the Underground area where Shen Wei was Blackrobe he says "Wow" while Shen Wei did some action that causes Zhao to says "Wow". Actually real life Zhu Yilong says when Bai Yu says Wow he got a shock!!! RPM wow did you do that photo?? I sees Shen Wei pendant shines!! It is Power of Photoshop!! Honestly I'd much rather both of them died than just one died. Because at least there's some respect that it's a love story. But I think it's a bit cheating that we don't even get hugs or kisses and yet the tragic lovers die. They're starving us too much. I also would really hope that the crazy intense Chinese fans (in general, not just for this show, just my personal opinion) manage to wrangle out some special endings or something. Although I think someone mentioned the production company went bankrupt. But whatever, it's China, they can make it happen. I don't know how they would get the actors now, since with the new laws they can't massively overpay them compared to the other production costs. What are insane fans for if not for this? I actually hoping more films they can get together because of this Guardian ending really mind blowing... If they get other films and together I will watch. I will watch if they film other Bromance... Just another opinion.